In the early 17th century, Galileo Galilei pointed his telescope into the heavens and made note of heavenly bodies such as the moons of Jupiter. Telescopes have come a long way since those earliest telescopes from Europe. These optical instruments eventually evolved into the gigantic telescopes sitting in observatories at the apexes of mountains and volcanoes such as Mauna Kea in Hawaii. Astronomers and scientists have even placed their creations out in space to complement the data provided by their Earth-based telescopes. Despite the convenience of ground telescopes, they do feature a few drawbacks that space telescopes don't have. Ground-based telescopes cost about 10 to 20 times less than a comparable space telescope. The costliness of a space telescope such as the Hubble telescope includes the cost of materials, labor and launching it into space. Telescopes on Earth cost less because they don't need to be launched into space, and the materials used in creating an terrestrial telescope are not as expensive. The two ground-based Gemini telescopes each cost about $100 million. whereas the Hubble telescope cost U.S. taxpayers approximately $2 billion. 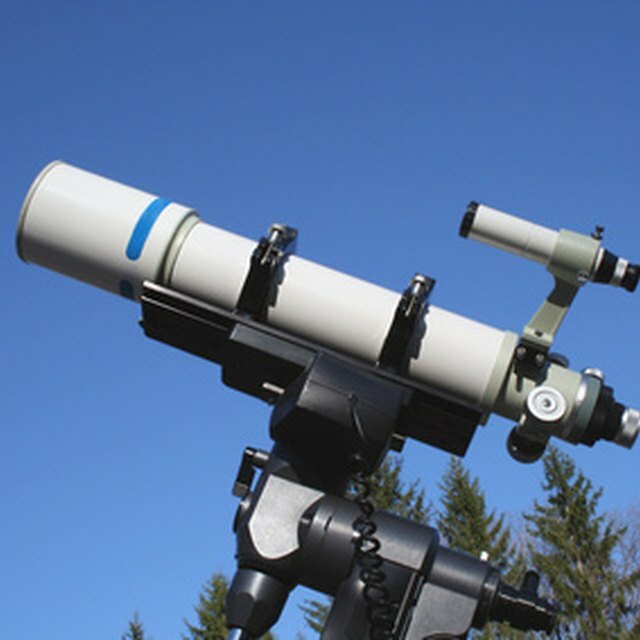 Despite the quality of the workmanship, all telescopes will require some sort of maintenance. Engineers on Earth can easily maintain and fix malfunctions in ground-based telescopes, whereas a team of astronauts and a costly space mission would have to be assembled for any failures in space telescopes. Each space mission brings its own dangers, as evidenced by the Challenger and Columbia shuttle disasters. Ground-based telescopes have longer lifetimes because they can be repaired relatively easily. NASA has made several servicing missions to Hubble, not to mention numerous dangerous repair missions that entailed astronauts floating in space to manually fix Hubble’s problems. Because of their sensitivity to environmental factors, ground-based telescopes would need to be set up in specific spots. Scientists and engineers must take different physical factors into consideration when finding a suitable location to place a ground-based telescope. Observatories tend to be located at higher altitudes -- 18 kilometers (11.2 miles) above the Earth near the equator and higher than 8 kilometers (5 miles) in the Arctic -- to preclude the effects of cloud cover. The telescope also would have to be placed far away from city lights to minimize interference with the lighting conditions of the telescope. Optimal ground telescope operation requires low temperature and pressure conditions, but instruments in space don't require environmental stability because space is devoid of large fluctuations in lighting, temperature and pressure. The same atmosphere that protects life on Earth also interferes with a telescope’s picture quality. The elements and particles in the Earth’s atmosphere bend light so that images detected from observatory telescopes appear blurry. The atmosphere causes the apparent twinkling effect of stars, although stars don't actually twinkle in space. Even the invention of adaptive optics, a technique that reduces the effect of atmospheric interference on image quality, can't reproduce the image clarity of space telescopes. In contrast, space telescopes like the Hubble aren't hindered by the atmosphere and thus produce clearer images. In addition to blurring images, the Earth’s atmosphere also absorbs significant portions of the light, or electromagnetic, spectrum. Because of the protective effect of the atmosphere, ground-based telescopes can't pick up the lethal, invisible portions of the electromagnetic spectrum such as ultraviolet rays, x-rays and gamma rays. These parts of the spectrum help astronomers extract better pictures of stars and other space phenomena. Lacking essential data, scientists were unable to extrapolate information such as the age of the universe, the birth of stars, the existence of black holes and dark matter until the advent of space telescopes. Dinh, Ho-Diep. "The Advantages and Disadvantages of Using a Ground-Based Telescope." Sciencing, https://sciencing.com/advantages-disadvantages-using-groundbased-telescope-12185505.html. 13 March 2018.